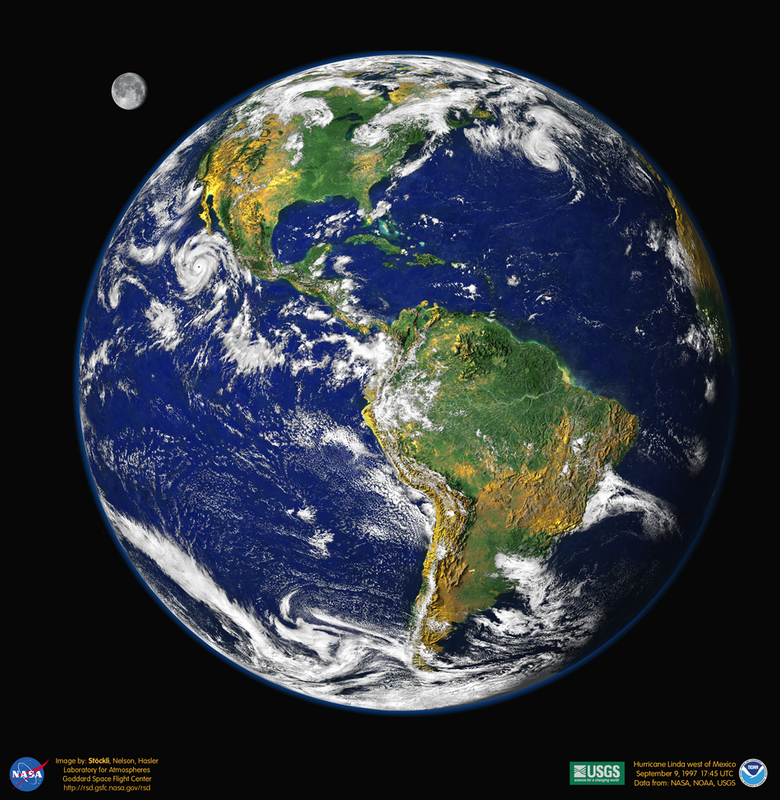 English: A composite image of the Western hemisphere of the Earth. aktuell 00:31, 27. Aug. 2011 3.000 × 3.075 (1,3 MB) Alan Liefting Reverted to version as of 23:13, 18 January 2008. Superimposing the moon does not seem right.